Let’s take a quick fashion break and talk beauty. So many beauty products, so little time. Here is a quick review of my Mac bonanza from the summer. I have a couple more Beauty Bonanzas in store in the near future, including the beauty expo. I like to use the product so I can give an honest and thorough review about each product, so be patient as I continue to experiment over these next few weeks. I’ve been in the market for some new foundations. 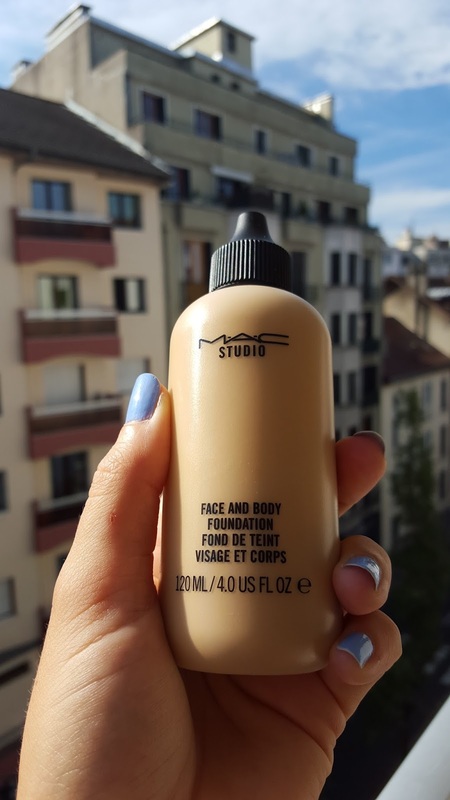 I am an avid Mac BB cream user, but I’ve heard good things about the sheer nature of the Face and Body foundation, so I opted for that. IN LOVE! I don’t know how I’ve never tried their product before. I wasn’t sure of my color as it’s not sold in the department stores here so I couldn’t be matched. 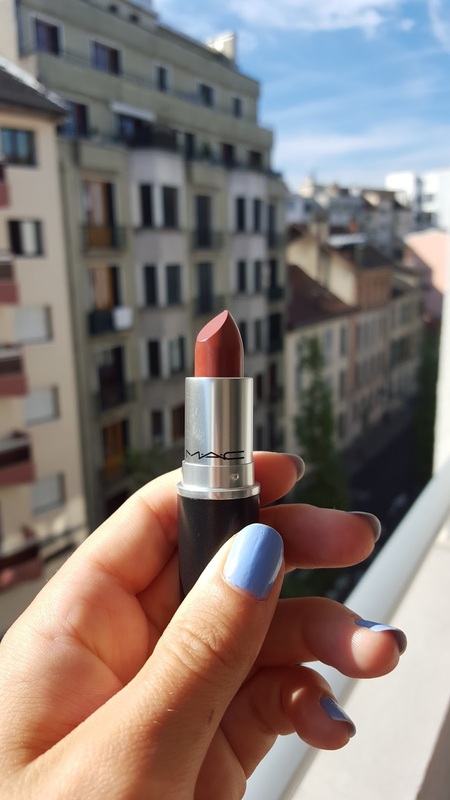 I chatted the Mac representative online and he said I’d be a C3, given the other colors I told him I’ve worn in the past. He was spot on correct! Pros: sheer but buildable; non-sticky, quick drying (but doesn’t dry my already dry skin), giant bottle, long lasting color. Cons–no sunscreen or added skin benefits. 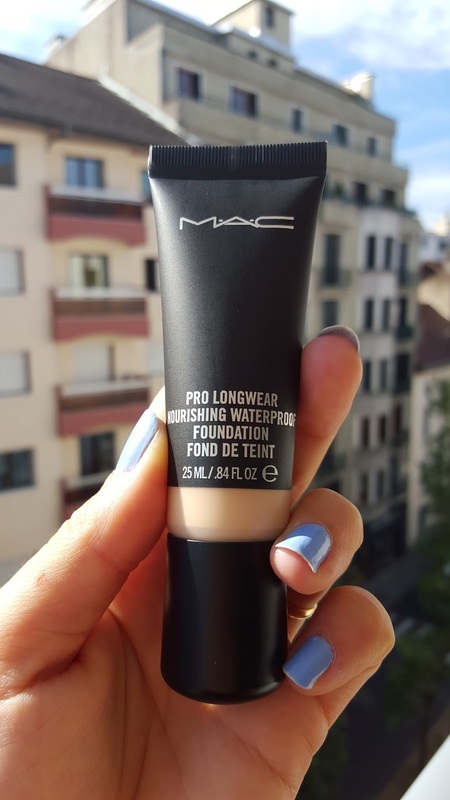 The other foundation I bought was the new Prolongwear Nourishing Waterproof foundation. I like this one, but don’t love it. I’ll use it but the color is a little light/pink on me. I went in and was color matched as NC25, but for some reason it doesn’t seem to work for me anymore. I use an NC25 in Studio Sculpt, but that is a completely different color. I love Mac but their number system for foundation makes me crazy! I am a bit darker than usual because it’s summer, so I will try it this winter and see if I like it more then. I do find it applies a little cakey on the nose so I really need to exfoliate before using it. Face products always require such long descriptions! 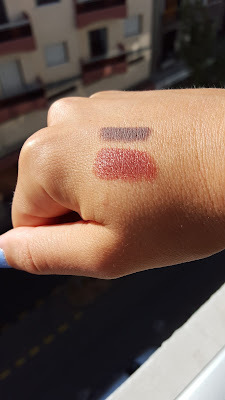 Anyway, I picked up a few lip products that I knew I loved before I even had them. First, I can’t go without my Prep and Prime lip primer. I go through 3 of these a year so I always have a couple on backup in my house. 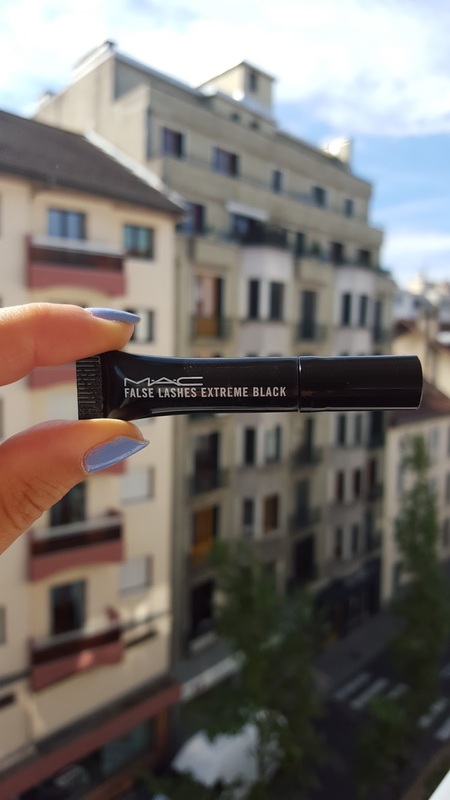 Use a primer if you want your lipstick to: apply evenly and smoothly, not feather onto your face, last longer, not clump around where your lips meet, and keep your lips hydrated. Love my primer. 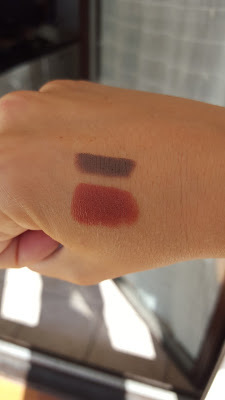 I also picked up Stone (liner, top color) and Taupe (matte finish lipstick, bottom color). and wine colors for fall/winter. What’s on your fall/winter Mac wishlist? My wallet can’t even begin to look at the holiday collections. P.S. 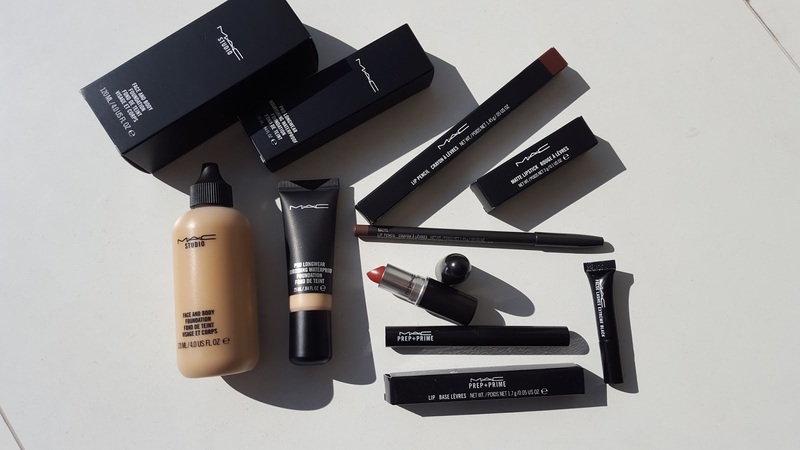 Mac also started including mini samples of products. 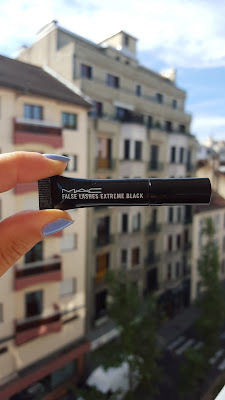 Check out this tiny mascara!